Our country has an advantage about solar energy potential more than a lot of countries because of its georaphical position. According to the study of General Directorate of Electrical Power Resources Survey and Development Adminstration, Turkey's avarage annual sunligt duration is 2640 hours ( daily total is 7.2 hours), and total avarage radiation volume is 1311 kWh/m2-year ( daily total 3.6kWh/m2). 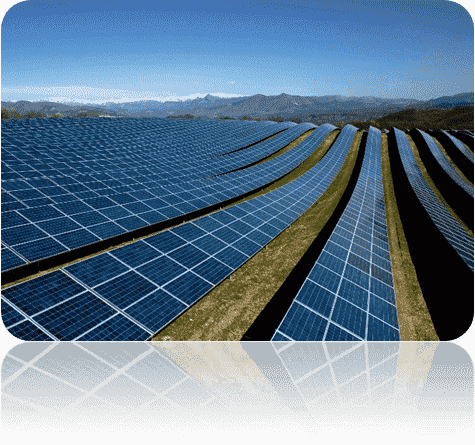 The values of Turkey's monthly sun power potential and sunlight duration are given in table. 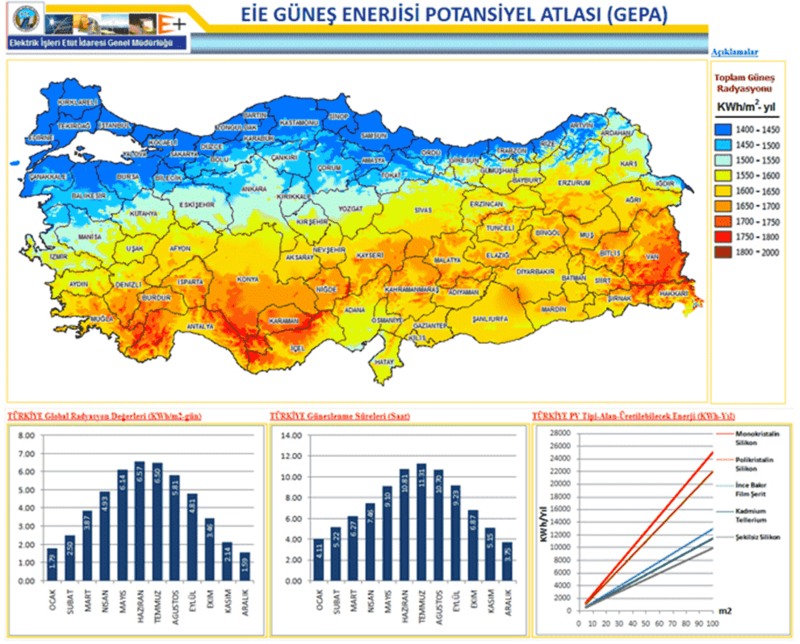 The Southeastern Anatolia is the most and Mediterranean is the second advantage regions about sunlight potential. It should not to be agricultural land. It should be cadastral route. It should close to the power transmission line. It should be 7-8% sloping to the south. It should be 15-20 acres in size. It should be easy dig. The south side should be long. If the south side is around 140 m, a land of 13-14 acres is sufficient. Soil structure should not be rocky. It should be in a place where electricity is not cut off very often. There should not be a structure that causes shadows around, and it must be a land that you are sure that will not be for 25 years. Flood and landslide should not be a risk. Grid connected, land application projects can be licensed or unlicensed. 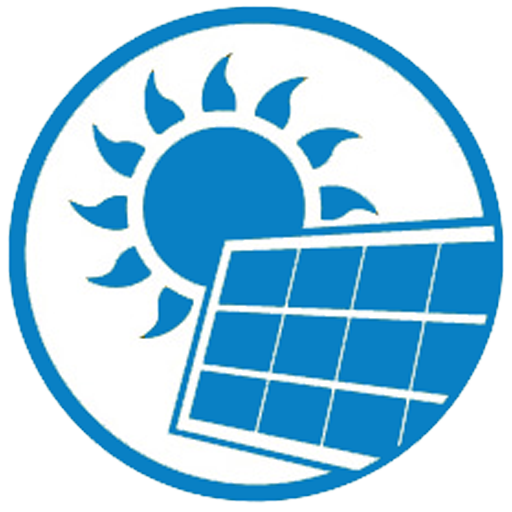 Licensed production is systems with AC output power below 1MW. 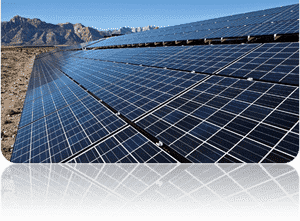 Unlicensed production is systems with AC output power below 1MW. 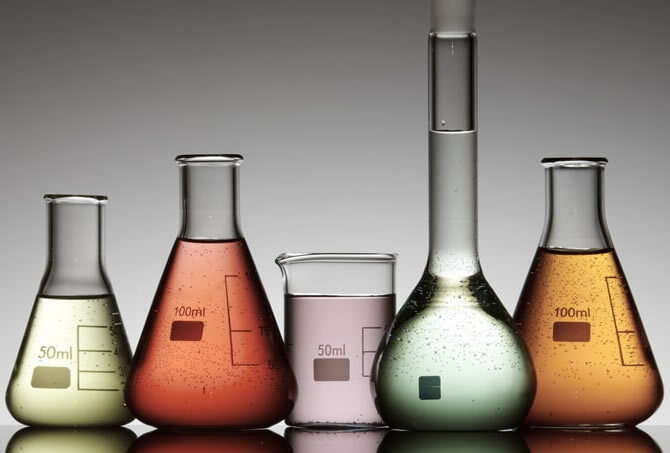 It is necessary to become subscription that consumer should be at production point in order to permit to build unlicensed manufacturing facility, there is no such a requirement at the licensed. Contractors submit proposal that according to the capacities for licensed production. 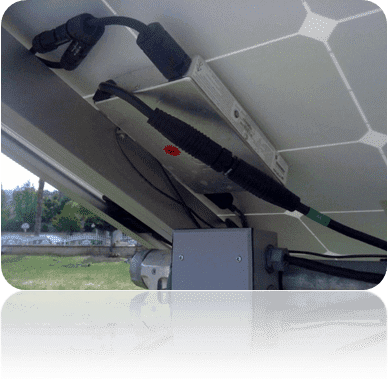 After the necessary permissions that established system feed the direct current is produced by panels through the inverters that operating synchronously with grid, 220 V alternative current to the grid by turning. Monocrystal is used as light absorbing material in solar cells. It is found a single crystal silicone. It does not form a cellularization, irregular and void structure. This type of batery has app. %20 efficiency capacity. These are the best batteries about quality and efficiency but they are expensive because the production process takes very long time and needs high technical knowledge. 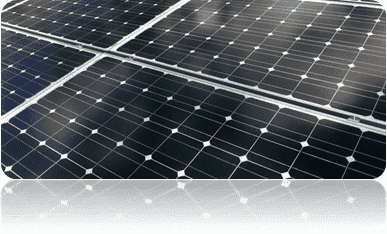 Monocrystal sun batteries are the best option for long-term investment. Monocrystaline means that the material consists only of one crytalline and that its atomic structure is homogeneous. This type of battery has app. %16 efficiency capacity. Even if it is not good as much as monocrystal about quality and efficiency. The reason is that it costs less and efficiency/cost ratio is very high. Policrystalline means that the material does not consists of one crystalline and it is not homogeneous in structure. Inverter is an electrical transducer that converts to alternative current (AC) from direct current (DC). 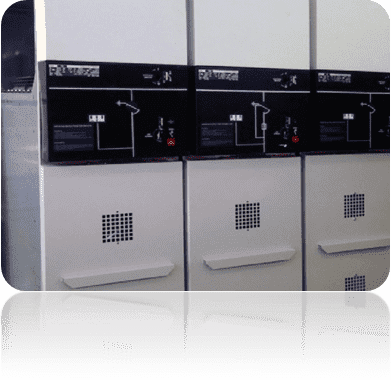 The AC power produced at the inverter output can be any voltage and frequency depens on the used transformers, switching and control circuits. 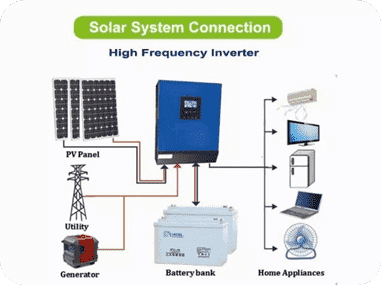 The produced DC current from the solar panels is converted to AC current through inverters in a controlled manner. Thus, it provides to energy need by connecting to all systems that need AC power, to electronic devices and to the grid. It is intelligent software that provides to archived and evaluated on the computer. System performance is transformed into a comprehensive analysis with easy understandable diagram types and graphs. Real-time data or archive data is transformed into easy understandable diagram types and graphics. Daily, monthly and yearly data can be compared each other. 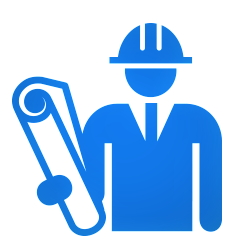 Service notices or energy reports are sent by e-mail. The system datas stored in the data recorder are added periodically. 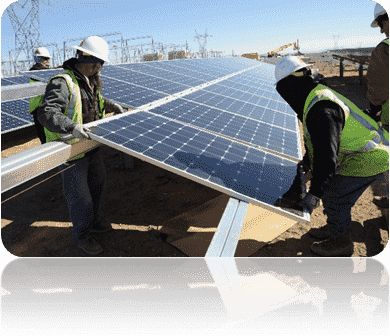 Solar panel consruction systems are the systems which are made of steel and aluminum in all carrying systems, used in the areas which need wide open areas and height. It provides saving on production and mounting for the aspects of labor and time. 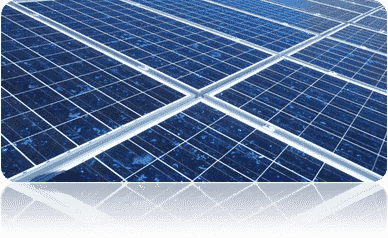 Different types of solar panel construction systems are applicable in steel construction systems. 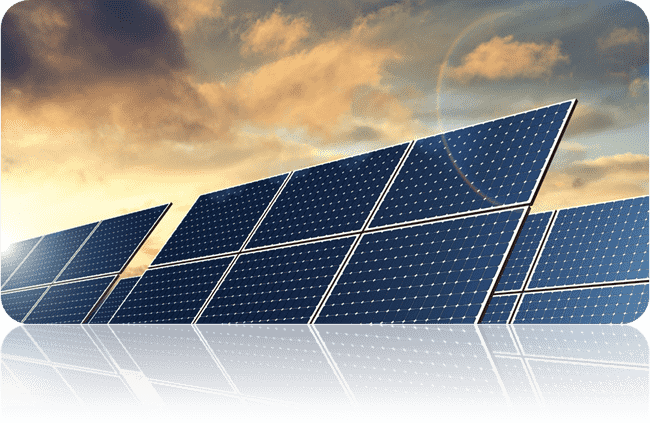 The installation of solar panel construction system is fast, it can be demounted and mounted again and again for many times and it is long-life. 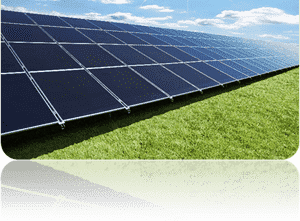 DC power produced in panels is collected in DC collection boards in the systems whice are used central inverters. Each panel series are provided with one DC collection board. The power is transferred from DC collection boards to central inverter system via main DC line. The required safety measures and switch equipment are used in DC collection boards. In case of using order inverter these boards are installed to make connections of AC line cables. The collected power inside these boards is transferred to main collection board with one single cable. The required safety measures and switch equipment are used in AC collection boards. Power from AC collection boards or from central inverter is safely transferred to main collection board with power cables. 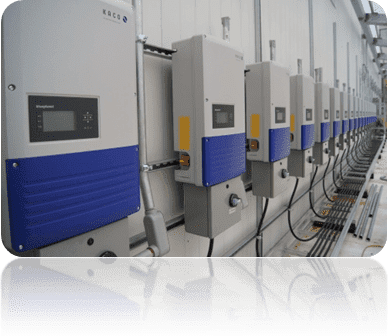 Main collection board is equipped with measurement system of power quality, system security and equipment needed for internal needed. High voltage electric in main collection board is transferred to the transformer with high capacity LV power switch to amplify voltage of electric. The voltage values should be in accordance with system in order to transfer to prodeced energy to the system. 400 V AC which comes from the output of inverter is increased to 34 kV AC via transformer. 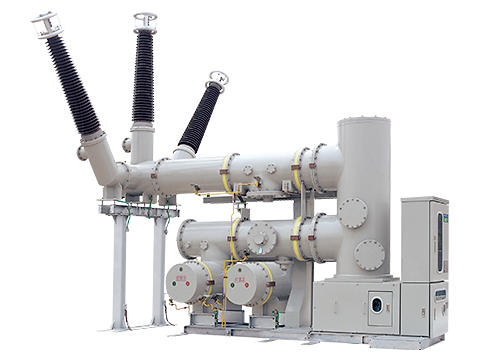 Energy is increased to 34 kV level which provides safe energy transfer and less cost. Two types of transformer systems are used in power plant. These are oil-filled and cast resin transformers. The voltage which is amplified to 34 kV with transformer is defined as MV. Insulation and safety measurements of cables and circuit breakers are higher because MV system as high voltage level. 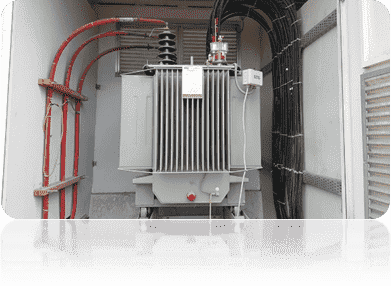 MV Cells are necessary to controlled and sage transfer of 34 kV energy to the energy transmission line. The breakers which are able to make rapid switch on and off are used to provide two-sided protection from the problems related with energy connection point or plant. 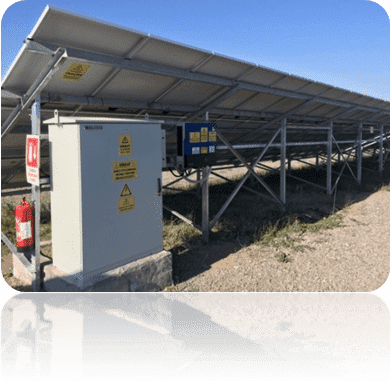 The energy can be switched off thanks to MV cells in case of maintanence or when needed.Medium Voltage (MV) Cells used in Solar Power Plants. The energy produced in power plant is amplified via transformer and transferred to the grid. 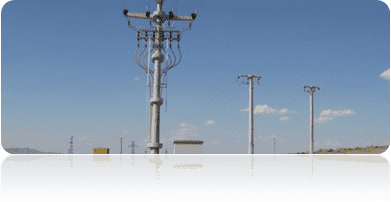 Because transferred energy has high voltage level, it is connected to the grid via transmitting to Distribution Center with power transmission line. A lot of factors should be considered while choosing conductors. The most important one is the geographical condition of the plant's place. PLC Board provides the control and transmission of necessary signals from equipment used in central like transformer, AC collection boards, LV main distribution board, MV cells, protection relays to scada system via ethernet or fiber optic. 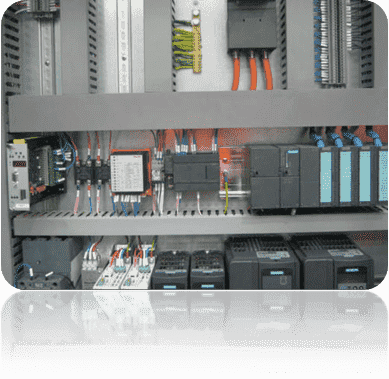 All data can be controlled with PLC Board with Scada System. Scada is an important software providing better solutions with minimum cost, decreasing the need for human force,ensuring health and property safety and it is for using the resources efficiently. 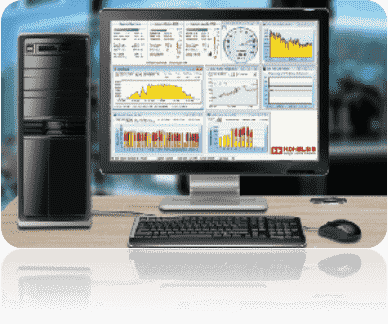 Electrical and industrial parameters can be monitored in computer. Alerts for adjusted values, backup events. Recording of desired values in determined periods. 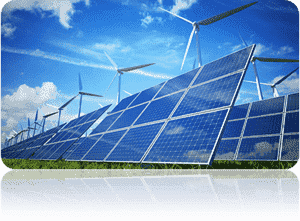 Database which ensures energy efficiency. Energy cost is almost equal to pruduct cost. Load control from main central. 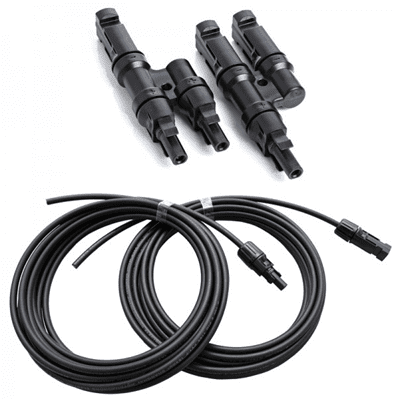 Solar cables are made of cross linked material and convenient to the UV lights, bad air conditions and do not include halogen gas. These cables are fire resistant and do not transmit the flame. It is appropriate for usage in constant motionless interior and exterior installments, in bars, tubes and similar closed systems. 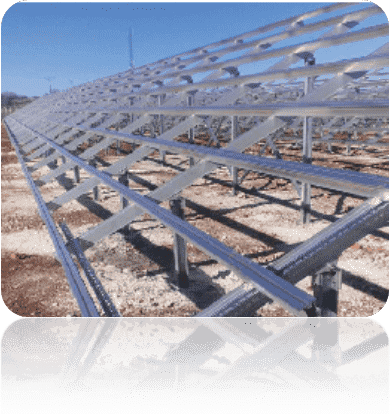 It is designed for enabling the connection of photovoltaic system equipment like solar panels. The expected life time is 25 years. 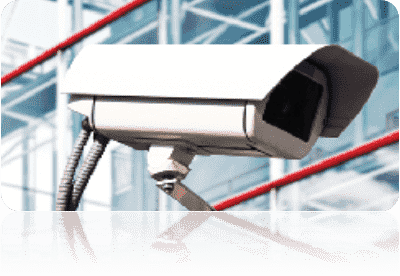 With simple explanation security camera systems are recording devices which is used in necessary places for image recording with needed quality and performance. The main aims of this system are receiving continous video from the installed place and recording this data. However. the system is convenient for monitoring the personel, production, stock and transport and for related events. In case of the existence of recording device with the feature of needed technology and performance, the current images, and past data can be monitored remotely via internet modem like a computer. The grounding of all installation and of devices should not be done separetely. In solar panel system an equipotential busbar is conducted and all grounding is come together within this busbar. 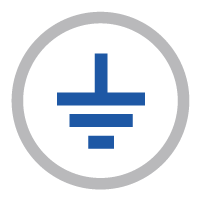 The most appropriate application is making base grounding and connecting them to the equipotential busbar. If there is no possibility for this grounding rod can be pounded instead of plate. The important thing for grounding system is installing it with considering the contact surface and corrosive effects. The distance between grounding rods should be twice more than the length of the rod and should be like goosefoot if possible. 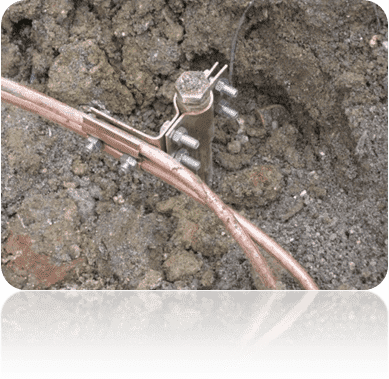 Grounding rods should be connected together with conductive lead below the 10-15 cm of soil surface. The reason is that there is freezing possibility of soil surface up to 5 cm in winter.